Villanova University President the Rev. 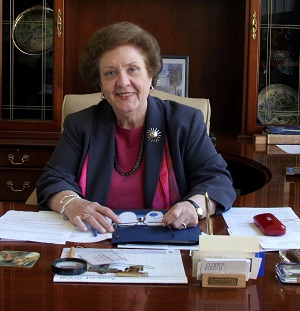 Peter M. Donohue, OSA, PhD, announced the naming of the M. Louise Fitzpatrick College of Nursing, honoring the college’s visionary dean who passed away in September, 2017. Villanova’s College of Nursing developed into a premier nursing program during Dr. Fitzpatrick’s tenure and was recognized repeatedly by the National League for Nursing as a Center of Excellence in Nursing Education.